Hilton Myrtle Beach Resort at Kingston Shores and Embassy Suites at Kingston Plantation have received green certified by the Green Hospitality Alliance. Both hotels received a two Palmetto Tree ranking, a higher ranking than they received last year when the program started. The current certification is good for two years. The Green Hospitality Alliance is a program of the South Carolina Hospitality Association and the South Carolina Department of Health and Environmental Control Office of Solid Waste Reduction. The intent of the program is to ensure the hospitality industry leads by example by implementing cost-effective practices to preserve and protect South Carolina’s environment and quality of life. To be certified, hotels and restaurants must complete an audit of each property's compliance with environmental initiatives that are designed to create a more sustainable environment including energy efficiency, water conservation, recycling, environmentally safe cleaning, reduction of waste, ongoing maintenance and purchasing habits. Properties are rated based on compliance with these eco-initiatives, from a single Palmetto Tree to three Palmetto Trees. Kingston Plantation and Kingston Shores are owned by FelCor Lodging Trust, Inc. 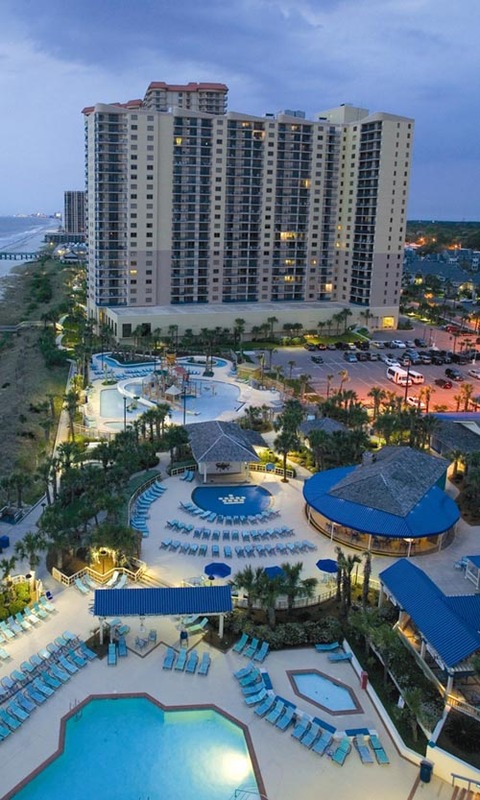 The resorts, which include hotels, condominiums, townhomes and villas, are located along the famous Grand Strand in Myrtle Beach. Guests at both properties can enjoy access to recreational facilities including a 50,000-sq. ft. Sport & Health Club with indoor and outdoor pools, lit tennis courts, pro shop and state-of-the-art fitness equipment; Splash!, an oceanfront waterpark and lazy river; Rees Jones-designed Arcadian Shores Golf Course; and a host of seasonal activities for adults and children. For more information, call (800) 876-0010 or visit kingstonplantation.com or kingstonshores.com.